Not preparing your car for summer motoring could increase the risk of an inconvenient upset such as a breakdown. With this in mind, this information has been produced in order to help you in the preparation of your vehicle for the summer months. Check the operation of all exterior lights to ensure they comply to any legal requirements. All headlights and indicator lenses must be free from any damage such as cracks or missing glass or plastic. Remember to keep the lights clean. Check front and rear wiper blades for wear or splitting. Do check windscreen washers making sure that they are adjusted correctly. Screen wash additive is also recommended. Check oil and water levels. Ensure they are topped up correctly. Pay particular attention to the electric fan. Make sure the fan belt is tensioned correctly and in good condition, adjust or replace it as required. Ensure that the ignition key is removed from the vehicle before checking. The condition of all tyres should be checked, (inc. the spare) for tyre pressure, any signs of visible damage and legal tread depth. Inspect the jack and wheel brace, making sure you are confident about their use. If locking wheel nuts are fitted, ensure that the locking key is safely stowed away in the car. 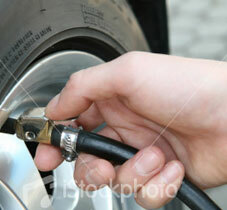 It may be useful to practise changing the spare wheel, following the instructions from your owners handbook. Inspect the car keys for wear and condition and replace if necessary. Make sure you have a spare set of keys for your car which are kept in a safe place, this also applies to the alarm fobs. It is worth noting that the batteries in the fob may also require replacement in order to function properly.